Brandy Johnson is shown pitching for Fayette during the Hubbertville Softball Tournament. 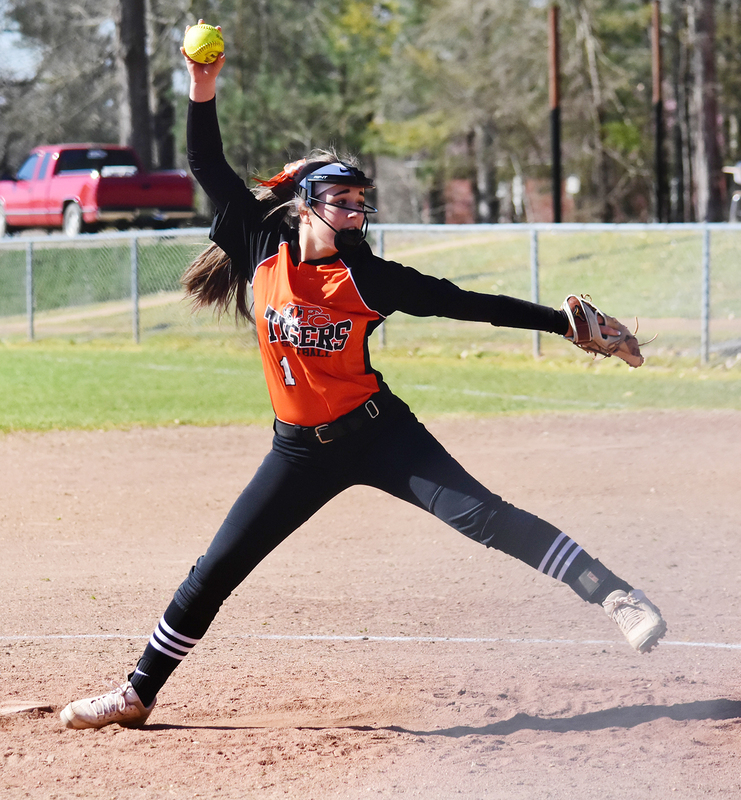 The Fayette County High School Tigers defeated Hubbertville and Brilliant during the Hubbertville Softball Tournament, but lost the remainder of its games during the past week. Fayette hosted Carbon Hill on March 18 and lost a close one to the Lady Bulldogs by a score of 8-7.